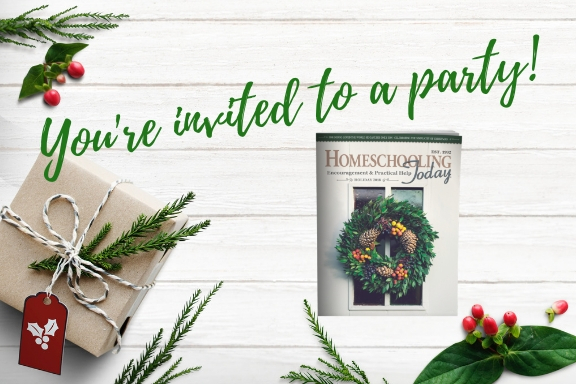 Homeschooling Today magazine | 2018 Digital Holiday Edition Facebook Party! 2018 Digital Holiday Edition Facebook Party! Don’t we all long to make the Christmas season just a bit more simple? To make memories and build family relationships while keeping our focus on Christ? The digital holiday issue of Homeschooling Today will give you insight into how you can simplify the season and still make memories that last a life time. We would love for you to kick-off the Christmas season with us at our Facebook Party! December 4th starting at 9pm EST. 1. 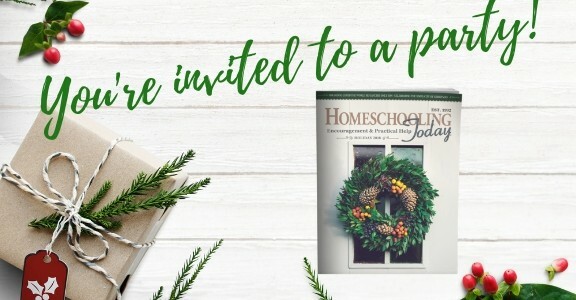 The release of the 2018 digital holiday edition of Homeschooling Today! #1 Subscribe to our email list and receive the last three Holiday Editions. No charge! 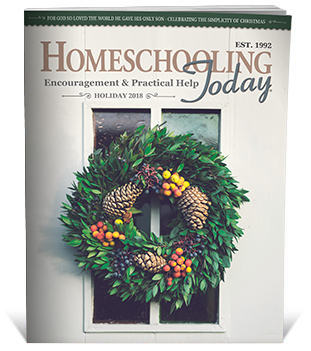 #2 Purchase a one year subscription to Homeschooling Today magazine and we will mail you the back issues of 2018 for FREE. You’ll receive our Spring, Summer and Fall print editions from this year along with the issues to come in 2019. Every edition of HST is packed with encouragement and practical help! 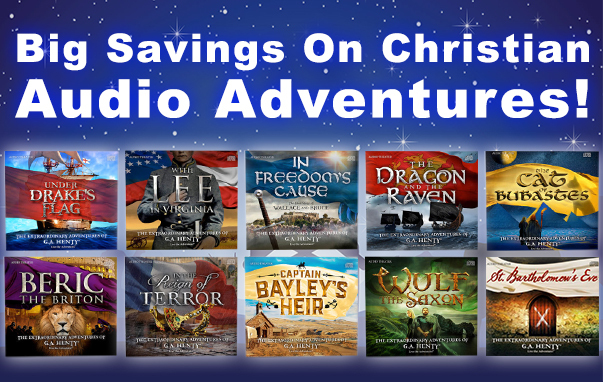 This offer is a great gift option for your homeschooling friends and family members! Hurry though! The offer ends December 31st. Ashley Wiggers—Ashley grew up in the early days of the homeschooling movement. She was taught by her late mother, Debbie Strayer, who was an educator, speaker and the author of numerous homeschooling materials. It was through Debbie’s encouragement and love that Ashley learned the value of being homeschooled. Cheryl A. Bastian—Cheryl has been married to Mike for thirty years and began homeschooling in 1993. A mother of eight children—preschool through adult—Cheryl knows the trials and triumphs of embracing each season of life and is passionate about equipping and inspiring parents who want to nurture a desire for life-long learning in their children. She writes three columns for Homeschooling Today including The Early Years, Lessons for Little Ones, and Celebrate High School. Cheryl is the author of Celebrate High School: Finish with Excellence. This excellent guide equips parents and students of any educational philosophy with easy-to-follow explanations, ready-to-use examples, and experiential narratives from families who have successfully walked the home education high school path. You can learn more about Cheryl on her website Celebrate Simple. Durenda Wilson—Durenda, the author of Homeschooling Today’s Unhurried Homeschooling column, is a homeschooling mom of eight (born 1991 through 2004), five of whom have graduated. She has been married for twenty-eight years to Darryl, and they have four grandkids. Durenda has written The Unhurried Homeschooler (a simple, mercifully short book on homeschooling) and Unhurried Grace for a Mom’s Heart. She is the owner/writer/host of her blog and podcast, Durenda Wilson. She also enjoys speaking at events where she can encourage homeschool moms to think outside the box and homeschool in a way that is a great fit for their families. Heirloom Audio will be giving away a package of 10 stories in CDs. With these G.A. Henty stories dramatized for you, it will transport you back in time to important events in the past bringing history to life! 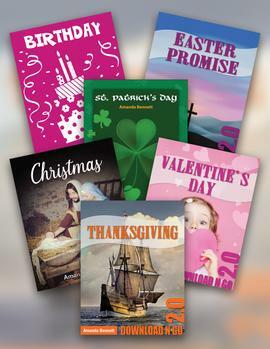 Enjoy this complete set with your family at a HUGE discount! Win the Unit Study Holiday Bundle. Win a 2019 subscription with the three 2018 print issues. Twenty years ago Homeschooling Today magazine was founded by homeschooling parents with a vision to encourage and assist homeschooling families. Today, that vision continues as we focus on providing information and tools for those who homeschool, shared from a Christian perspective. The magazine doesn’t just offer encouragement but also ready-to-use lessons and activities for anyone who wants to expand the educational experience of their children, while keeping the approach to learning natural. Our goal is to help parents create an environment “Where The Love of Learning Takes Root”. The giveaways will only be open for 24 hours!